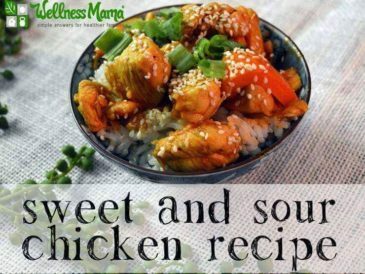 You are here: Home » Blog » Health » Is White Rice Healthy? White rice. It is a controversial food in nutrition circles. On the one hand, some nutritionists call it an empty source of calories and recommend avoiding it. Others consider it a safe starch and say it is ok in moderation. Unlike modern wheat, which has been hybridized and modified and can be problematic for many people, and most other grains, rice is unique and potentially less harmful. I get asked about rice often and felt that it deserved its own post. 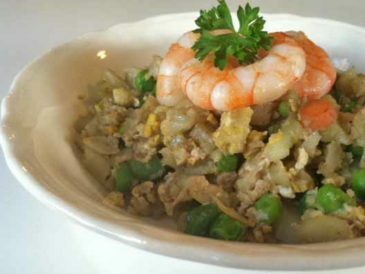 Brown rice is often considered a healthier rice than white rice, but white rice may actually be the healthier choice. Like anything from the grains family, rice contains a certain level of anti-nutrients like phytates which can make it hard for us to absorb the minerals it contains. When my husband and I were working to reverse our cavities (we were able to), we had to avoid foods that were high in phytic acid, and brown rice was on this list because of its phytic acid content. White rice, was considered safe in moderation. The reason is that when rice is milled, the bran is removed. This is the process that makes the rice “white” instead of brown, but since it removes the bran, it removes almost all of the phytic acid. 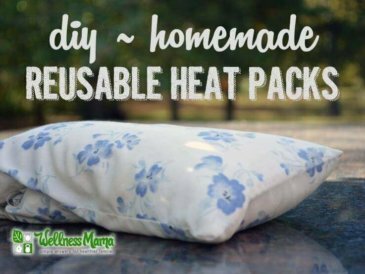 This makes the rice more digestible and cuts down on the grain based fiber (which can be harmful to the gut). The lowest levels of arsenic were found in white rice (jasmine or basmati) that was imported from other countries. Rinsing the rice (traditionally done in many cultures) further reduced the arsenic levels. 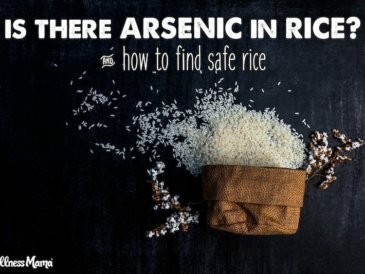 There is still controversy on the rice/arsenic connection but this is one of the reasons we don’t consume rice often. That’s a quick summary of the issue… for my full take on arsenic in rice, see this post. 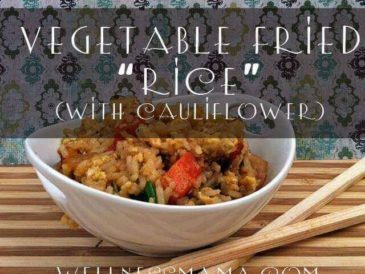 Rice is naturally gluten free, so the most problematic part of many grains is already absent from rice. This makes it generally a safe choice for celiacs and those who are gluten intolerant, but doesn’t mean it is healthy. At the same time, many people do need some sources of healthy carbs and rice can be a relatively safe option. Women especially often see negative effects on hormones from consuming too low carb of a diet for too long, and of all the grains, white rice is a generally safe option for safe carb consumption. 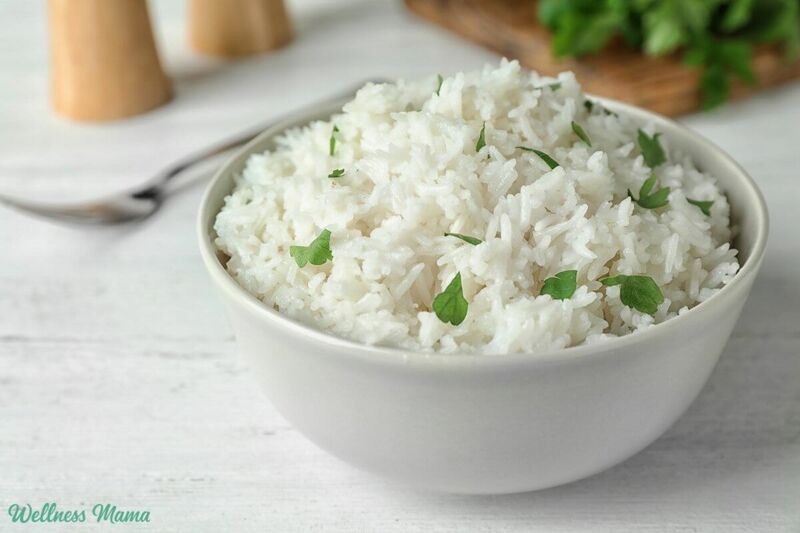 A 2012 study claimed that white rice consumption was associated with a higher risk of Type 2 diabetes, and this if often used as a reason to avoid rice. 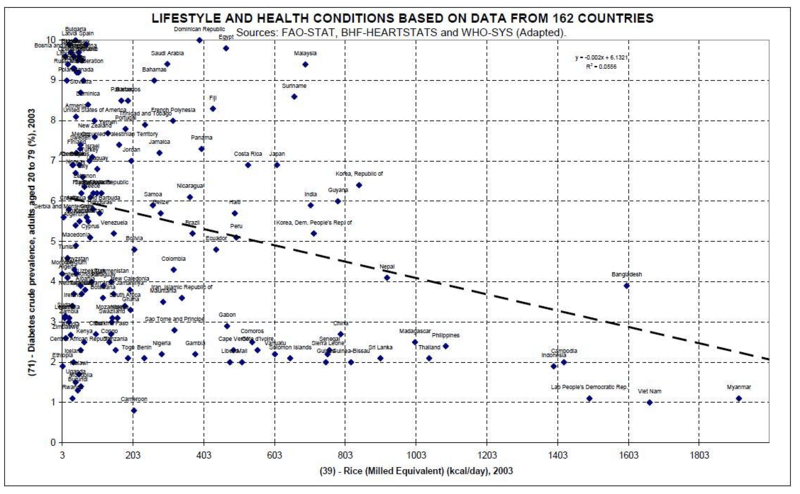 I was surprised by this study when it first came out since historically, Asian countries with high consumption of white rice still had low incidence of diabetes. Fact: Diabetes is diagnosed as a fasting glucose that exceeds a fixed threshold of 126 mg/dl, and in those with metabolic syndrome (but not those without) higher carb consumption leads to higher fasting blood glucose. Therefore, the fraction of those with metabolic syndrome diagnosed as diabetic will increase as their carb consumption increases. What Do the Experts Say About Rice? At the end of the day, I consider rice to be in its own category. It doesn’t deserve the same label as most grains (especially modern grains) and it certainly isn’t as bad on the nutritional spectrum as foods like vegetable oils. The safety of rice consumption seems to vary greatly based on the individual, cultural background and what the rest of the diet looks like. For those already consuming a diet high in other carbohydrates and low in minerals, rice (or any grain) is definitely not the best option. Those on a high nutrient diet devoid of inflammatory foods and who have an active lifestyle may do great with moderate rice consumption. Of all the grains, rice is definitely the safest option and the only one I recommend consuming. Personally, our family consumes organic white jasmine rice occasionally (once a week or less). We typically consume it on heavy workout days or after a lot of activity and always in conjunction with high nutrient foods. I pre-rinse it to help remove any remaining arsenic. I don’t consider it a “cheat” food because the idea of “cheating” goes against our food rules and our goal to create positive and healthy attitudes about food with our kids. 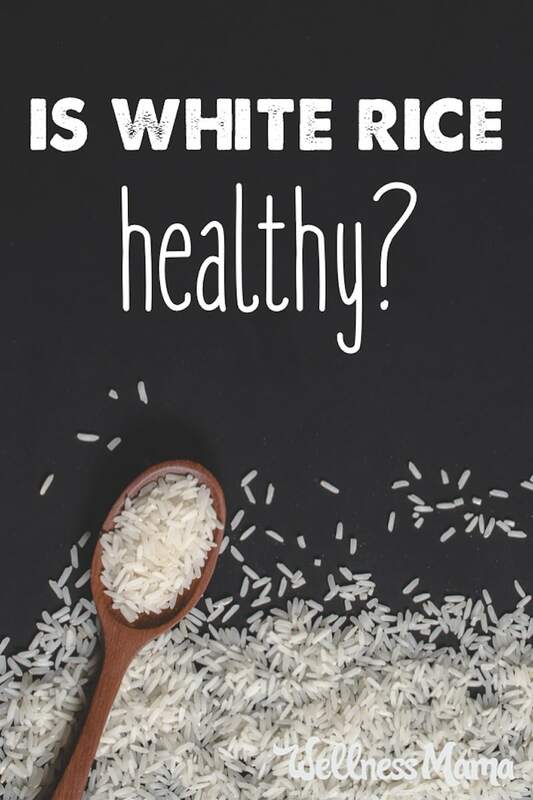 It is a food that we eat occasionally but not everyday since white rice isn’t an exceptional source of nutrients but it also isn’t as potentially harmful as many other grains. 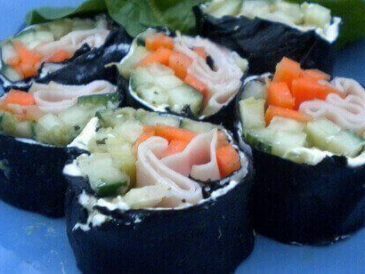 I love occasionally enjoying some high quality sushi after a workout or some rice in a stir fry but don’t consider it a staple food. Rice still can contain trace amounts of arsenic so it certainly isn’t one of the first foods I feed to my babies and I avoid any processed foods with rice since these may be higher in arsenic. Where do you stand on the rice debate? White? Brown? None? Share below!